There was something very special about Dorothy Betz. She had a way of putting people at ease; a way of making everybody feel special. When you spoke to her, you could tell that she was really listening, and was genuinely interested in what you had to say. This ability, along with her boundless optimism and kindness, go a long way to explaining why so many people were drawn to this remarkable woman. Betz always expected the best from people, and most of the time, that’s what she received. It was a lesson she shared with others who came to know her. If you expect the worst from people, that’s more than likely what you’ll get from them, but if you expect the best, they’ll generally rise to the occasion and you won’t be disappointed. Her positive attitude and giving nature were truly extrodinary, given the hardships and loss she experienced early in life. Betz was born on June 26, 1929 on the Pine Creek reserve in Manitoba to parents Charles and Bernadette Nepinak. She spent 15 years of her childhood attending the Pine Creek residential school. Both her parents died when she was very young, and she was raised by her grandparents during her summers away from school. But by the time she reached adulthood, she’d lost her grandparents too, as well as a younger brother and an older brother, leaving her with no immediate family except her sister, Rose. When she turned 18, Betz was told she could no longer stay at the residential school. She was given 28 cents and a shopping bag with a few items of clothing in it and was sent on her way. In 1948, she made her way to Winnipeg, and soon met and fell in love with Elmer Betz. The couple married on Dec. 2, 1950 and went on to raise six children together. Over the years, the family continued to grow, with the arrival of 18 grandchildren, 37 great-grandchildren and four great great-grandchildren, keeping Betz busy knitting gifts for each and every one of them. Betz was the type of person who could see the good in anyone, and see the positive in any situation. She even managed to find a silver lining within her residential school experience. If she hadn’t attended residential school, she reasoned, she probably wouldn’t have learned to do two of the things she loved—sewing and knitting. And she might never have developed the resourcefulness that served her so well throughout her life. Despite her ability to look on the bright side, Betz did have one regret about her time at residential school, the way her experiences there impacted on the relationship she had with her children when they were growing up. The regimented environment of the residential school provided her with her main model for parenting, so that was the approach she took with her children. She would line them up for inspection, treating them, she would recall later, like little soldiers. Her children knew they were loved. Betz found outward expressions of affection—hugging her children or telling them she loved them—very difficult for a very long time. Betz became deeply involved in Winnipeg’s Aboriginal community, fueled by a desire to help Aboriginal people improve their lives. She would often help people find jobs, and would keep a large box of alarm clocks in her office so she could give one to each of these newly-employed people to help them get up and get to work on time. Betz was a woman of action. While some people will encounter a problem or need and look around for someone to do something about it, Betz was the type who would jump in feet first and tackle the problem herself. That’s exactly what happened with development of the Native Court Communicators program in Manitoba. One day, Betz was called in to talk to an Aboriginal man who had spent months in jail on a relatively minor charge because he didn’t speak English and no one could communicate with him. Betz spoke to him, then cleared things up with the police and soon the charges were dropped and the man was free to go. It was then that Betz recognized the language barriers that some Aboriginal people faced within the court system. She took it upon herself to start going to court and offering her services as an interpreter, and the seeds of the Native Court Communicators program were planted. In 1975, Betz had a chance to draw international attention to the shortcomings of the justice system when it came to accommodating Aboriginal people when she travelled to Geneva, Switzerland as part of the Canadian delegation to the Fifth United Nations Congress on the Prevention of Crime and the Treatment of Offenders. When the delegation members were introducing themselves, she spoke in Saulteaux, which none of the interpreters could translate. When the translators protested, she simply indicated that this was the situation Aboriginal people found themselves in on a regular basis when they were forced to deal with a justice system where they couldn’t function in their own language. Betz was one of the founders of Winnipeg’s Indian and Métis Friendship Centre and of the Kekinan Centre, an Aboriginal seniors’ residence, and was the first Native woman appointed to the National Parole Board. Over the years, she was involved in numerous other organizations, including the Manitoba Society of Criminology, Manitoba Correctional Institution, the Native Clan Organization, the Aboriginal Centre, the RCMP Aboriginal Advisory Committee, the Manitoba Association of Rights and Liberties, the Native Women’s Transition Centre, the Centre for Aboriginal Human Resource Development, Ma Mawi Wi Chi Itata Centre, and the Keteyatsak Elders group. She was also in demand as a public speaker, giving inspiring talks to people about her own story and of how she overcame the hardships in her life and persevered. Betz received a number of awards in recognition of her lifetime of work to improve the lives of Aboriginal people. 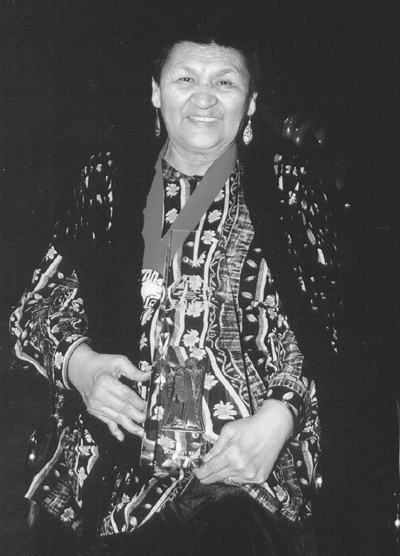 In 1989, she received the Joe Zuken Citizen Activist Award and the Citizen Award for Outstanding Community Service and was named to the Order of the Buffalo Hunt, one of the highest honours bestowed by the province of Manitoba. The following year, she received the Aboriginal Wall of Fame Award and a tribute dinner was held in her honour. In 1999, she was presented with a National Aboriginal Achievement Award in the community development category. As she grew older and her health began to deteriorate, Betz still continued to dedicate much of her time and energy to working for the benefit of others. She turned her love of knitting into a way to continue these efforts, creating baby booties and blankets, and then setting up a table at the Aboriginal Centre a couple of times a year to sell her wares and donating the proceeds to help fund programs for Aboriginal youth. Even after being admitted to the hospital she continued to knit, right up until the day of her death on Sept. 9, 2007.